Last year, one of our very first blog posts was for Galentine's Day (because ovaries before brovaries). 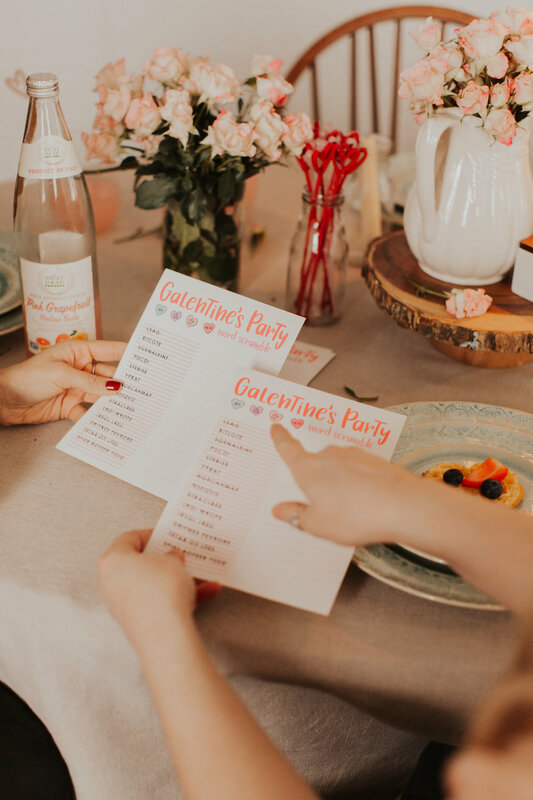 It was very special to shoot another Galentine's Day post exactly one year after we launched our blog (with our favorite photographer Kearsten). In true Knope style, our brunch affair featured a little waffle station with heart-shaped waffles from Whole Foods - they were both delicious and adorable. We also refreshed our flower wall (DIY here) and added all the soft pink feminine details. To finish it off, we drank delightful tea and pink Italian soda. Target has some seriously adorable Galentine's Day swag in their $3 section this year - we love that this is becoming such a popular event! 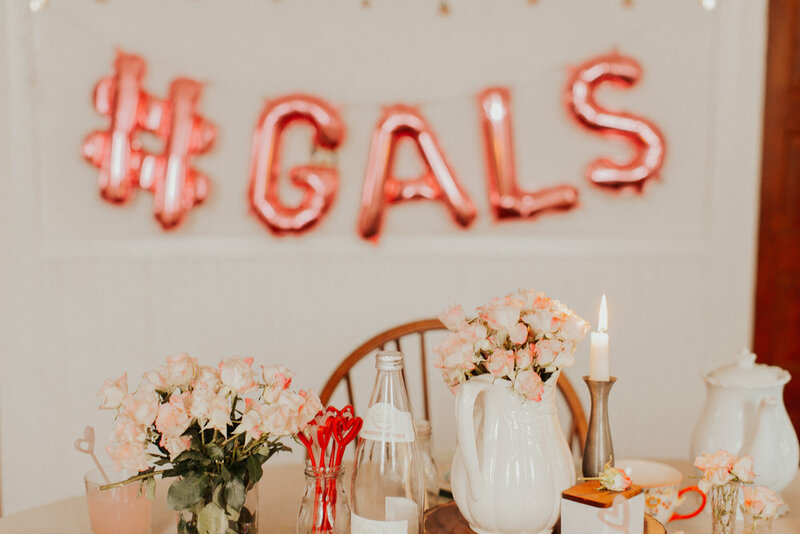 It's not often that we have a day to just celebrate the wonderful women in our lives, but Galentine's Day is the perfect occasion to get together and thank our fellow gals for always being there. We were happy to celebrate the day in our Bee and the Fox sisterhood tees. The message of empowering women fit perfectly for our Galentine's Day party. We hope you enjoy this post and have a chance to celebrate your fellow #gals this year!